While iOS 8 comes with plenty of advantages, upgrading to a new operating system is never without its drawbacks. Maybe battery life just ain't quite what you'd want it to be, but we've got some tips to squeeze the most out of that sucker and stay juiced all day long. Many of the features on your iPhone are handy if you need/want them. If you don't, they're just eating away at that precious battery life behind the scenes, and give you exactly zero help for your trouble. So shut 'em down. One of the handiest new tricks in iOS 8 is the ability to see what apps are using the most battery life. You can check on your own personal problem children by going to Settings>>General>>Usage>>Battery Usage where you can find a list of apps that are chewing up your battery life. Where you go from here depends on the apps in questions. You can always try to stop using the app so much, but chances are there are other measures you can take as well, like turning off location polling or push notifications. 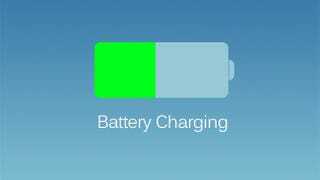 We'll cover those a little later on, so just remember the apps that are topping this list and be sure to check back for new culprits whenever your battery life starts to sag. Parallax is fun, but it's the definition of "extra." And maybe it even makes you dizzy. Who needs it? Not you. You can turn it off in accessibility settings, by going to Settings>>General>>Accessibility and setting Reduce Motion to on. AirDrop is great when you are AirDropping. The rest of the time it's just fidgeting in its seat, looking for another device to play with. Turning it off is easy, just swipe up your Control Center, and hit the toggle. There's no need to have your phone searching for Wi-Fi when there's no trusted network in sight. You'll save yourself some trouble if you get in the habit of turning of Wi-Fi from the Control Center when you leave the house. Alternatively, you can go to Settings>>Wi-Fi and turn Ask to Join Networks to off. This way your phone will hop on Wi-Fi networks it knows, but won't look around for more without direct orders. Google Maps needs to know where you are, yes. But Facebook? Hop over to Settings>>Privacy>>Location Services to get a full list of the apps that are asking about where you are. You can probably turn off about half, and cut down on a lot of GPS polling. Immediate app updates are rarely a huge deal, but having enough battery always is. Go to Settings>>iTunes & App Store and then scroll down. You'll see Updates under Automatic Downloads. Turn it off. Just don't forget to stop by the App Store and update manually now and then. While you are here you can also turn off automatic updates for music in order to prevent U2 albums from appearing on your phone now and in the future. The brutal downside of good multitasking is running things in the background (duh). But if you go to Settings>>General>>Background App Refresh, you can disable background-runnin' for the apps that aren't important. Or all of them if you want to go all the way. Chances are, auto-brightness keeps you more well-lit than you need to be. You can shut it off and get your mood-lighting on by going to Settings>>Display & Brightness and flipping the toggle. While you're there, crank that backlight alllll the way down, or as far down as you can handle. If you step outside, that's what the Control Center is for. Not every app needs to push its notifications; that stuff takes power. Go to Settings>>Notifications and scroll down to the Include section. Then go on a toggling spree. But even without all these tweaks, it pays to treat your lithium-ion battery right from the start, especially if you have a new gadget. Just keep on scrolling down for our tips and tricks that'll work for any phone.